Rate this Article What used to be a box of sand; a child's playpen was now being used to describe games with one of the most interesting game mechanics - the (almost) absolute freedom to create! Today, we'll be parting the veils of the future and taking a look at what sandbox games may have in store for us. The world that we live in today is viewed as a finite world filled with limitations on how far a person can do or go to in their physical state. There, however, exists a realm where one’s imagination is the limit and going beyond the usual boundaries defines the open world concept of computer gaming. Sandbox-styled games have allowed us to build or create our own game world and fashion it according to our own taste. Without the restrictions of a default sequence of events, goals or missions to fulfill in order to complete the game, the user can create one’s own definitions of when and how the game can be completed. Of course it would be impossible for a person to keep building and exploring an endless realm of digital dreams as one lifetime is not even enough compared to the almost infinite generation of a true digital sandbox world that will go on and on as possible. There are 2 current emerging digital technologies where Sandbox gaming is being successfully applied to and these are Virtual Reality and Augmented Reality. The idea of building a digital world is enhanced by these technologies or possibly even a mixture of both in reference to Intel and Microsoft’s Project Alloy VR. Using Virtual Reality, the user has this perception of being engulfed within another realm or reality with the ability to interact with objects in that world. One can touch and manipulate these objects via handheld controllers while seeing the immediate effects through the VR headset. With the upcoming availability of the new generation of data gloves, one can actually feel the virtual objects themselves. An example of this would be The Modbox creator which is now available on Steam. Modbox is not a game per se but a VR app that lets you create worlds and your own game as well. Think of Garry’s Mod in VR. With Modbox, you can choose from a selection of created VR worlds which you can then modify to your own liking. You can also start from scratch if you wish using a selected VR world as a template to begin with. This will of course require you to have a computer powerful enough to handle the 3D and VR requirements as well as an HTC Vive headset. Modbox lets you construct things using primitives (basic 3D objects like square, rectangle, circle etc.) by touching them together. You can then add pre-made objects like propellers, balloons, hinge joints, etc. and control them by wiring them together with levers, throttles, buttons and other forms of control mechanisms. 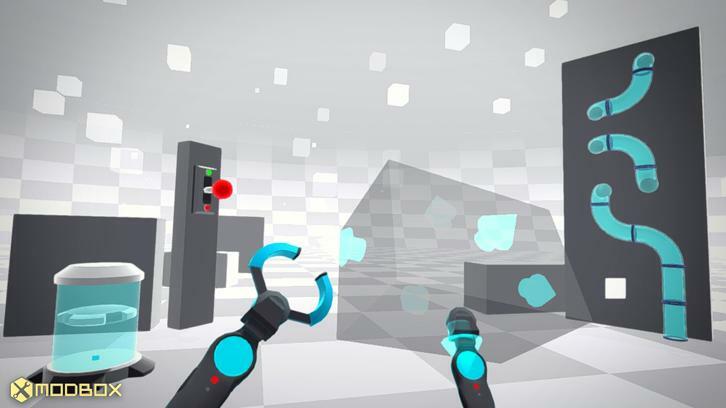 You pick up the objects using your virtual hands (VR controllers), move them around and place them in position. 3D block menus and other controls are easily accessible to give you options and things or objects you may require to build your world or game. Augmented Reality on the other hand has been making great strides on the future possibilities of Sandbox application. 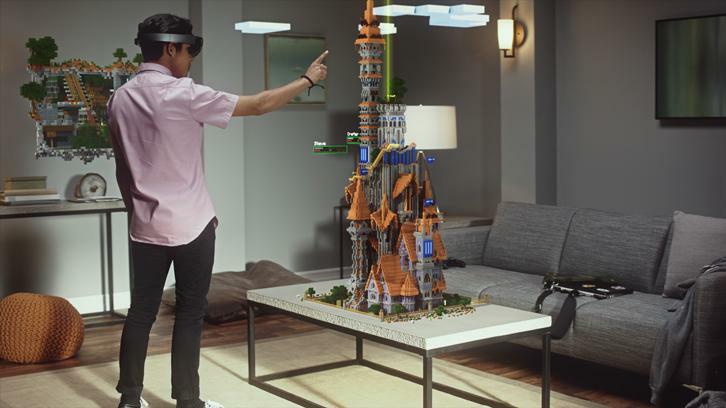 However, the Sandbox as used in AR is more of a futuristic tool than simply for games not withstanding that game applications are already quite popular as shown by Minecraft used with the Microsoft Hololens. Hololens let you see the game as a hologram and interact with it by using its own sensor array. Alternatively, a much cheaper Sandbox application in AR uses an actual Sandbox. This is being used by both Scientific and Educational institutions to further the use of AR in the study of topography and terra-forming sciences and creating games as well. In its simplest terms, the contraption is an actual Sandbox with real sand and used in conjunction with an Xbox Kinect and a PC with a powerful graphics card. The Kinect (or an equivalent camera sensor) determines the actual depth of the sand and tracks the hand movements of the user. 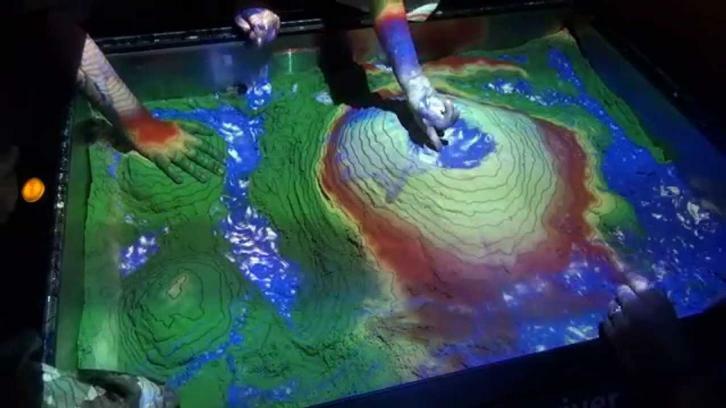 It then sends the data to the PC which translates it into a color-coded topography sent to a projector which projects the image onto the sand. The surface of the sandbox becomes a colorful world of its own which the user can manipulate by building objects that resemble mountains, bodies of water, roads, buildings, houses, etc. to objects found in an actual board or table RTS battlefield simulation complete with moving tanks and artillery units, all of these by the flick of a hand. What goes on in the mind and imagination of a child sitting inside a sandbox and moving all those toys around has actually become a holographic reality with vivid color and animated objects moving around. An entire world limited only by the imagination of the user who was once a child. As to which method or technology Sandbox gaming will be using in the time to come will depend on the application of the Sandbox itself. The Sandbox is no longer just a kid’s playpen anymore but has itself gone beyond the physical boundaries of what was once its own definition.